Richard L. Norris - Mediator & Arbitrator based in Indianapolis, Indiana. If you’d like a list of available dates for Rick Norris, please submit a request below. You will hear back directly from Rick's assistant, Brooke Faust. Richard L. Norris is a founding partner of Norris Choplin Schroeder LLP. A native of Indiana, Mr. Norris was born in Fort Wayne in 1945 and has practiced law for more than 40 years. He focuses his practice on alternative dispute resolution and a variety of civil litigation matters including aviation. He also engages in early, pre-suit mediation. Mr. Norris is a registered civil mediator who works regularly to facilitate mediation and arbitration on behalf of clients. In addition, he is a trial attorney with experience litigating matters in courts across the Midwest. 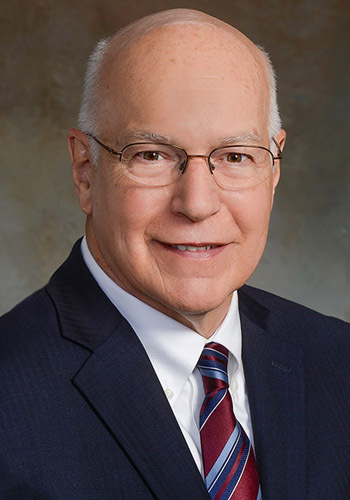 Among his legal experience, Mr. Norris has served as a medical review panel chairman. He is an advocate of the American Board of Trial Advocates. Since 2004, Mr. Norris has been named a Super Lawyer® by Law & Politics magazine for his work in aviation, alternative dispute resolution and civil litigation. In 2008, Mr. Norris was recognized by the Litigation Section of the Indiana State Bar Association with the Outstanding Professionalism and Civility Award.